A foreign company was awarded the contract. THE HSE SAYS that the awarding of a national contract for the provision of blinds, curtains and furniture represents a saving for the taxpayer, but small businesses say they’re losing out. The executive had previously awarded the contracts on a smaller basis, working generally with local businesses. However, that process changed recently and the national contract was awarded to a foreign company, with one HSE officer reportedly telling a business owner that the price had “blown the small businesses out of the water”. 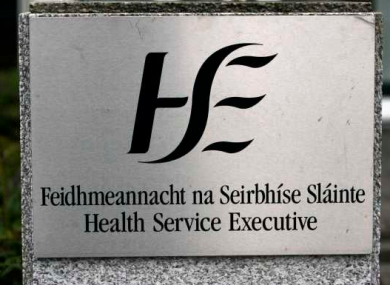 The HSE says that the tender was advertised in two lots and gives value for money to the taxpayer. This tender was advertised in two lots to facilitate an open tender process with SMEs in mind and in line with both EU and HSE procurement regulations. The company was awarded the tender based on an economically advantageous submission that met the specifications and standards as set out in the tender documents. However, Mark Fielding of the Small and Medium Enterprise Association (ISME) says that while spending less on a foreign company may make sense in the short term, it damages the country’s economy in the longer-term. One small business owner says that the loss in business will seriously hurt some small businesses at a time when Irish people are being encouraged to shop local. TDs are telling us not to go to Newry for goods and we’re told to pull on the green jersey, but we then send money out of the economy. Small businesses have clung on through the recession, waiting for the government to start spending again. Fielding says that this “bottom-line policy” will lead to many SMEs losing vital business because many are reticent to band together for fear of running afoul of the Competition Authority’s collusion rules. It’s important for the economy that we keep the money at home. In most cases, you’re not talking about a major differential in price. Read: Should the HSE cover the cost of Viagra? Email “HSE defends not awarding €1 million contract to Irish small business”. Feedback on “HSE defends not awarding €1 million contract to Irish small business”.